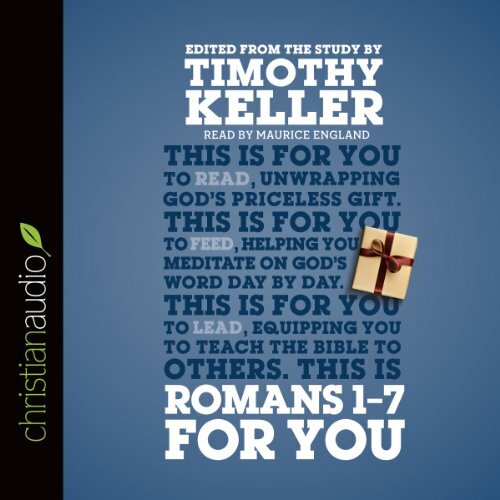 Join Dr. Timothy Keller as he opens up the first half of the book of Romans, helping you to get to grips with its meaning and showing how it transforms our hearts and lives today. Whoever you are, and however you use it, this is...Romans 1-7 for You. This book has SERIOUSLY helped me to better understand how Romans is applicable to me!! I've read the book of Romans too many times to count and I assumed I understood everything, but this study has helped me to better grasp the truths outlined by Paul. 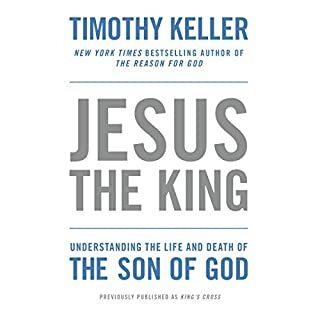 It has helped me to better understand salvation, sanctification, and what I should anticipate as a growing Christian. Praise be to God for His Word and for teachers of His Word!! Amazing. Loved everything about this. I'm gonna listen again because it really went deep into what Paul is writing about. Kind of had my head spinning at times. It really helped me understand, for the first time, what the Bible means when it says we sinned in Adam. Highly recommended. If you could sum up Romans 1 - 7 for You in three words, what would they be? One of the books you will read many times. God has given Keller such insight. Amazing book. Be prepared for soul searching and introspection. Not for the casual Christian. Invaluable. One of the most detailed exegesis of Romans’ I heard and I love the narrator Maurice England. I listen to this over and over it’s so awesome and fascinating packed full of truth. I Am Free in Christ! Great study of the book of Romans! Very meaty! Keller did a great job! Superb! I appreciate how he gives explanation to contending views whole constantly keeping the focus on Christ, both practically and doxologically. 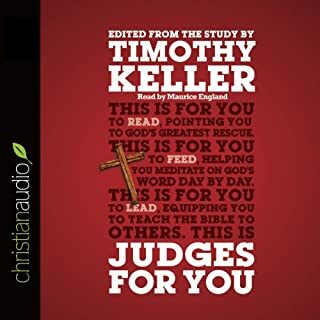 Hard to absorb all Keller shares over audio. However, if you are studying Romans already it compliments it well using a different medium. What was one of the most memorable moments of Romans 1 - 7 for You? What didn’t you like about Maurice England’s performance? Monotone. He just seemed bored. 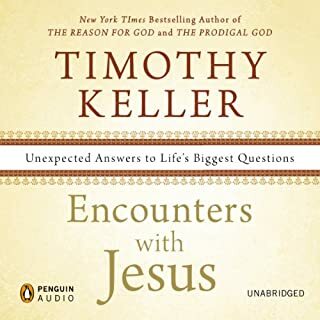 I think Timothy Keller is fantastic and have a few of his other audio books that I love. 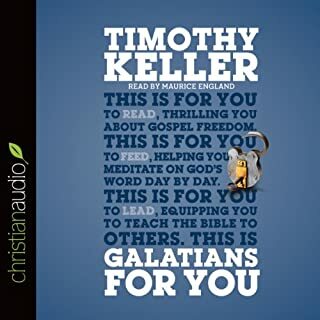 It's a shame that such a great book in the New Testament, with Mr. Keller's spin, was butchered by this narrator. Too bad. This just became one of my favorite books! Really insightful. Full of wisdom. I just got done and I'm going to listen to it again! Wow! Maurice England is the best narrator and makes Keller's work easily understood. Great performance. 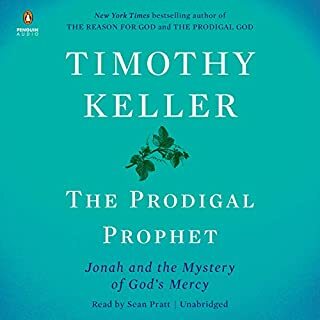 Timothy Keller is as usual excellent in his theology. 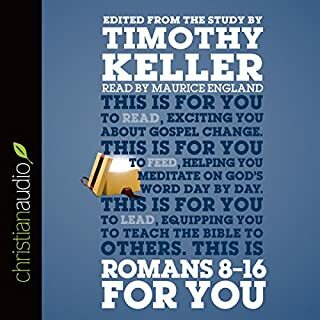 Like leaves on a stem Keller gives a brief overview of the many themes that run throughout the book of Romans, whilst also showing how they connect to the central theme: The Gospel.